Includes: Fluke 717-30g, Protective Yellow Holster with test lead storage, Instructions Sheet (14 languages), single 9V alkaline battery, Test Leads and Alligator Clips, NIST-traceable calibration report and data. 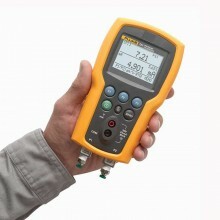 The Fluke 717 Pressure Calibrator delivers outstanding performance, durability and reliability. 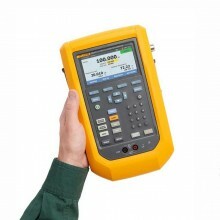 The calibrator is compact, lightweight, and easy to carry. 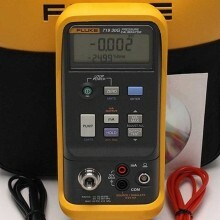 With a push button interface similar to the multifunction Fluke 750 Series Documenting Process Calibrators, the Fluke 717 Pressure Calibrator is easy to use. It is EMI tolerant, dust and splash resistant, and features a removable battery door for quick battery changes. 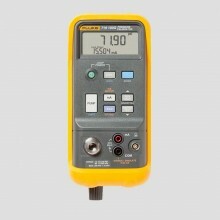 The Fluke 717 Pressure Calibrator is compatible with Fluke 700Pxx differential, gauge and absolute pressure modules to increase functionality. 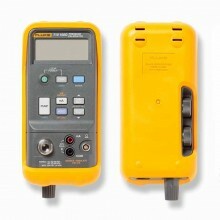 Measure pressure, 0.05% of full scale with internal sensor. 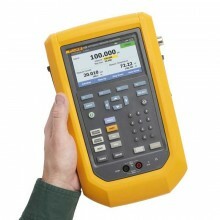 Measure pressure to 10,000 psi/700 bar using one of 29 Fluke 700Pxx Pressure Modules. 1/8 NPT female pressure fitting. Compatible with non-corrosive Gases and liquids. Select eleven different engineering units. Zero, min, max, and hold functions. 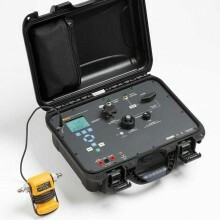 Calibrate P/I instruments with simultaneous pressure and current measurement. 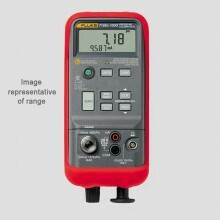 Pressure switch test function captures set, reset and Deadband values of a pressure switch. Error % calculation of mA measurements for quick pass-fail decisions. Holster features test lead storage. Compatible with Toolpack magnetic hanging system. 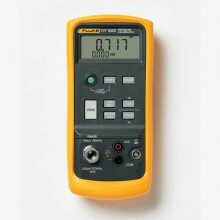 Functions Zero, min, max, hold, damp. Note gasses / liquids (non-corrosive). Range -1 to 1 psi, (-68.9 mbar to 68.9 mbar, -83 to 6.89 kPa). Resolution 0.0001 psi, 0.001 mbar, 0.0001 kPa. Over pressure 5 x full scale. 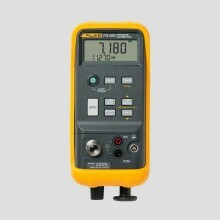 Range -12 to 30 psi, (-850 mbar to 2 bar, -83 to 206.84 kPa). Resolution 0.001 psi, 0.1 mbar, 0.01 kPa. Over Pressure 2 x full scale. 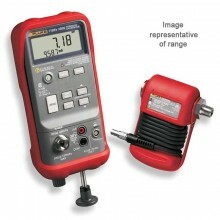 Range -12 to 100 psi, (-850 mbar to 7 bar, -83 to 689.48 kPa). Resolution 0.01 psi, 0.1 mbar, 0.01 kPa. Range -12 to 300 psi, (-850 mbar to 20 bar, -83 to 2068.42 kPa). Resolution 0.01 psi, 1 mbar, 0.1 kPa. Over pressure 375 psi, 25 bar. 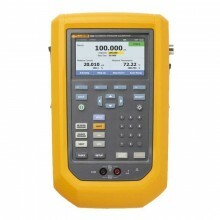 Range 0 to 500 psi, (0 mbar to 34,7 bar, 0 to 3447.38 kPa). 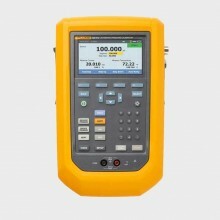 Range 0 to 1000 psi, (0 mbar to 69 bar, 0 to 6894.76 kPa). Resolution 0.1 psi, 1 mbar, 0.1 kPa. 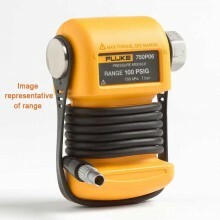 Range 0 to 1500 psi, (0 bar to 103.4 bar, 0 to 10342 kPa). Resolution 0.1 psi, 0.01 mbar, 1 kPa. Range 0 to 3000 psi, (0 bar to 207 bar, 0 to 20684.27 kPa). Resolution 0.1 psi, 0.01 bar, 1 kPa. 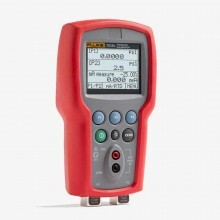 Range 0 to 5000 psi, (0 bar to 345 bar, 0 to 34474 kPa). 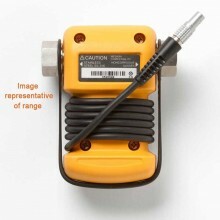 Measure pressure (Via pressure module connector using optional Pressure Modules). Range 29 pressure modules, 0-1 inH20 to 10,000 psi, 2.5 mbar to 700 bar ranges. Over pressure per pressure module specs. Resolution Per pressure module specs. Accuracy Per pressure module specs. Current Range 0 to 24 mA (-25% to 125%). Accuracy 0.015% + 2 counts. 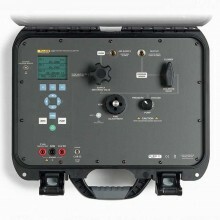 Loop power Range 24 V DC. 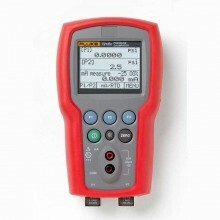 Drive; 20 mA into 1000 ohms for battery > 6.8 V; 700 W for battery 5.8 to 6.8 V.
Display Clear 5 digit LCD. Operating temperature -10°C to 55°C. Storage temperature -40°C to 60°C. Humidity (without condensation) 95% (10°C to 30°C). Operating altitude 3,000 M max. Safety CSA C22.2 No. 1010.11992. Size (L x W x H) 201 x 98 x 52 mm (7.93 x 3.86 x 2.06 in). Weight 22 oz, approximately 600 G with holster. 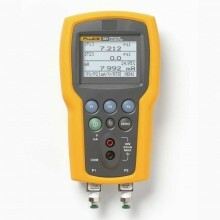 Fluke 717 warranty 3 years. 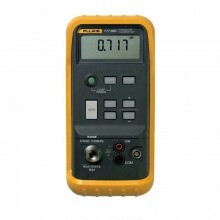 Shock and vibration Random, 2 G, 5-500 Hz. 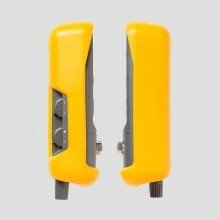 Battery type Single 9 V battery ANSI/NEDA 1604A or IEC 6LR619V alkaline. 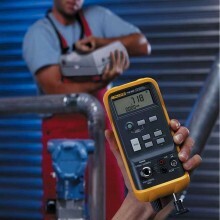 PDF Specifications of the Fluke 717, Fluke 718 & Fluke 718Ex Pressure Calibrators.